Voted the no. 1 song by WTMD 89.7 listeners for the Top 89 Songs of 2018. Featuring Derrick Michaels on saxophone. Spotify // Bandcamp // iTunes. "One of the things we love most about the Baltimore music scene is its continuous ability to surprise us. Outcalls sure did. This female-fronted sextet is not your average indie act featuring shimmering synth and shoegaze guitar. 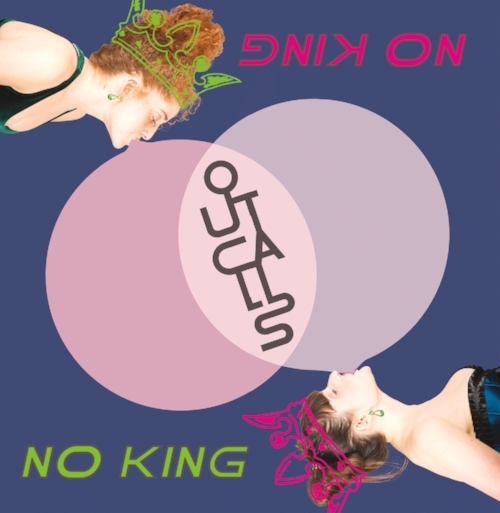 Instead, classically trained opera singers Britt Olsen-Ecker and Melissa Wimbish combine ethereal vocals with robust electronic rhythms to create their own genre: a sort of baroque indie-pop. Their masterful sopranos fuse into lush harmonies that lilt about energetic beats and linger in your ears long after they're gone. On this debut EP, featuring four tracks and two remixes, each new verse reminds you that the human voice - in all its hypnotic glory - is the ultimate instrument."